The hand is one of the most utilized parts of the body and because of this any injury of the wrist can be debilitating. Wrist arthroscopy is a surgical procedure used to diagnose and treat many conditions of the wrist. As a complex joint that consists of eight small bones and many ligaments, any treatment of the wrist demands pinpoint accuracy. Wrist arthroscopy enables precision treatment for conditions such as wrist pain, fractures, cysts, ligament tears, and carpal tunnel. At Orthopaedic Associates of St. Augustine’s Hand and Wrist Center we are proud to have Dr. John B. Stark on staff as one of the few dedicated hand surgeons in the area. He is experienced in wrist arthroscopy and many other techniques used to explore and treat conditions of the hand and wrist. Wrist arthroscopy uses an arthroscope, a small fiber optic instrument, to see inside the joint through minimally invasive incisions. It provides surgeons with a magnified and precise view of the bones, cartilage and ligaments. Without arthroscopy the ability to detect and treat conditions within complex joints such as the wrist would be much more difficult. One of the biggest benefits of wrist arthroscopy is that it encourages a speedy recovery time. The incisions required to insert the arthroscope are only a few millimeters in length and therefore any surgery required is minimally invasive. Patients also tend to experience less pain, stiffness and swelling after surgery. 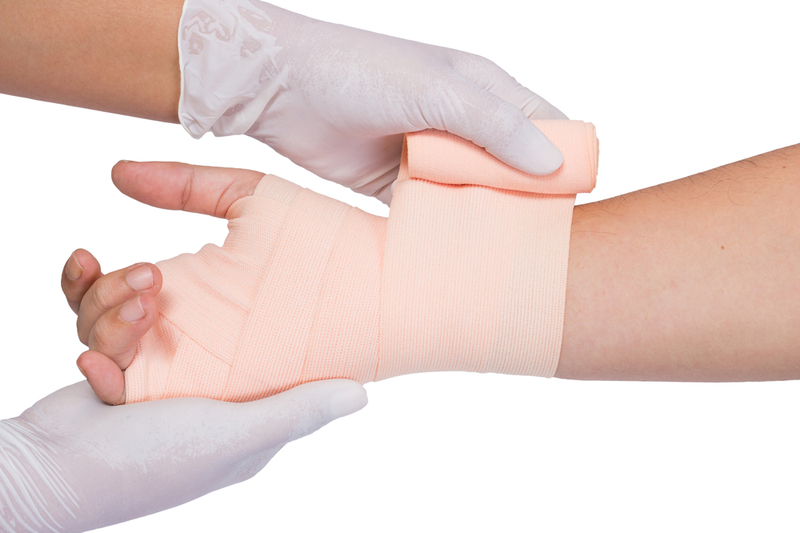 Following wrist arthroscopy patients are given a protective bandage and a splint may be used to keep the wrist straight while it recovers. In addition to at-home care instructions to improve mobility and reduce pain, physical therapy may be recommended as part of recovery. If you have ongoing wrist pain or recently experienced a wrist injury, you may be a candidate for wrist arthroscopy. To learn more about wrist arthroscopy and to visit our Hand and Wrist Center, please request an appointment or call 904-825-0540.